Mysteries beyond life revealed by the power of love and devotion. The doorway is a crypt in Fairmount cemetery in Denver. 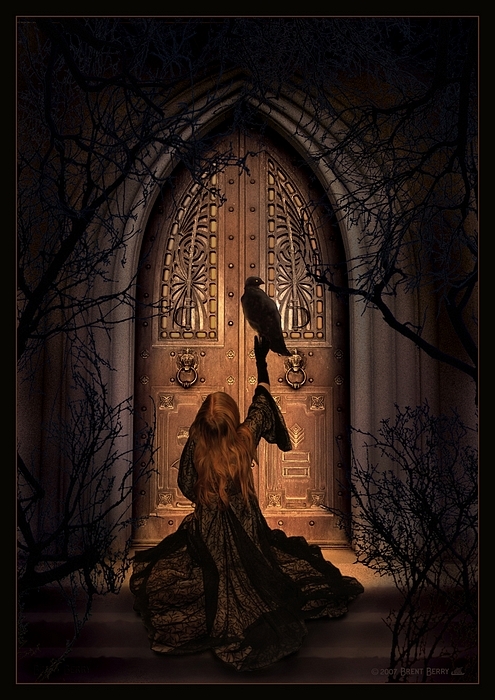 The woman holding the bird is Kadri from Iardacil-stock at Deviant Art Thanks Kadri!